Bruce Stewart-Brown, president for food safety and quality live operations for Perdue, stands for a portrait with a freshly hatched baby chick at a Perdue hatchery in Salisbury, Maryland, on Thursday, Feb. 18, 2016. Perdue is in the final, decade-long push to phase out most antibiotic use. 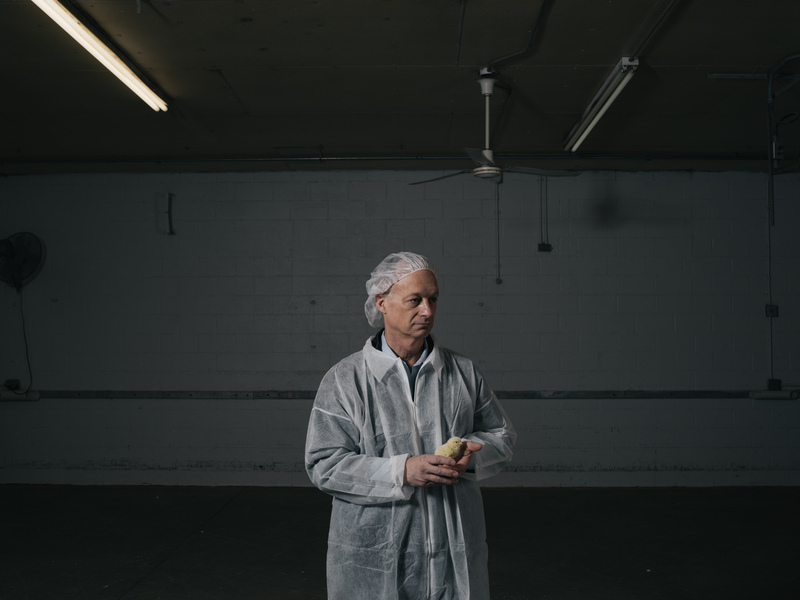 At this facility, one of the nation's first and few antibiotic-free industrial scale hatcheries, Perdue cranks out a million chicks per week to be delivered to local contract farmers to raise to slaughter weight.